As a progressive dentist, Dr. Naik actively seeks new technologies and products that enhance the health, comfort and protection of his patients. Take a few minutes to learn more about the technology available and why it’s important for you to consider for your dental care. Latest technologies includes. Digital x-rays are a more modern approach to taking x-rays. Digital x-rays produce 90% less radiation, and are more environmentally friendly than the older film x-rays. 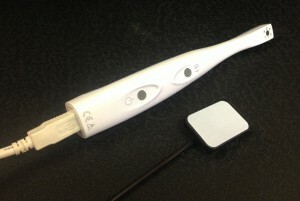 We insert a thin sensor into the patient’s mouth, and an x-ray passes through the tooth to record an image of the area and display it on a computer screen in the treatment room. 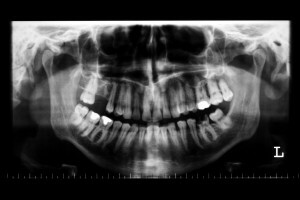 This is repeated until all of areas of the mouth have been x-rayed. The digital system ensures that x-rays are taken quickly, and the patient does not experience any discomfort during the process. The images can be viewed instantly, magnified, and colorized allowing doctors to provide more precise, comprehensive diagnosis and care. Dr. Naik utilizes intraoral camera technology that helps enhance your understanding of your diagnosis. An intraoral camera is a very small camera. In some cases, an intraoral camera is just a few millimeters long. An intraoral camera allows our practice to view clear, precise images of your mouth, teeth, and gums, in order for us to accurately make a diagnosis. With clear, defined, enlarged images, you see details that may be missed by standard mirror examinations. This can mean faster diagnosis with less chair-time for you! The Panoramic X-Ray is an important part of a thorough dental examination giving a broad overview of the entire bony structure of the teeth and face. It takes a much wider area than any intra oral film showing structures outside of their range. Dr. Naik uses the Panorex X-ray in the following areas ofÂ dental care: Early Detection of Oral Cancer, TMJ/TMD, Jaw Bone Problems, Gum Disease, Tooth and Jaw Development, Impacted Wisdom Teeth, Dental Restorations, Sinus Problems, Preparation for Dental Surgery.